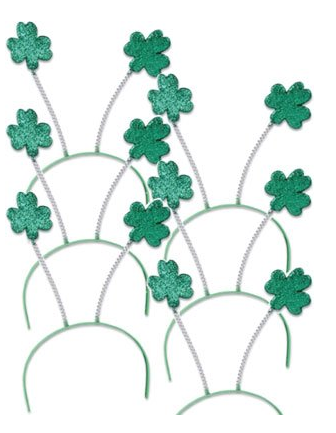 Enter our Facebook giveaway by becoming a fan and writing about your plans for St. Patrick's Day. These sparkly 4-lead clover headbands are sure to complete your already well thought out green wardrobe, and automatically peg you as the "fun" person of the party. But HURRY because the contest ends tonight! !